Employee behaviors in the workplace have a direct impact on productivity, satisfaction and morale. Managing toxic behaviors and negative attitudes in a constructive manner can help employees feel happy and engaged with their work. Identifying behavioral trends among workers can also help stakeholders identify organizational pitfalls that unintentionally contribute to toxic behavior so leaders can take steps to implement remedies. Employee productivity is affected by a number of factors, including each individual's mood and morale. Though stakeholders cannot address every single employee's personal peculiarities, they can implement policies to encourage active participation in daily work tasks. For example, if employees are missing deadlines or turning in low quality work, stakeholders may want to consider shaking things up by interrupting the typical day's workflow. If every day looks exactly the same, employees may not feel any pressure to meet expectations. Adding some variety to an employee's workload can stimulate their creativity. Workplace gossip can negatively impact employee performance and may even lead to increased rates of attrition. If staff members do not feel welcome at work, they are likely to be absent. Likewise, misinformed gossips can quickly spread rumors that could damage the company's overall performance. Maintaining regular communication with each member of the team helps keep managers abreast of the general goings-on at the office, further equipping them to predict and prevent office gossip. While these conversations may not explicitly cover the rumor mill, conducting regular check-ins provides a critical pathway towards building trust, as well as simply gauging each employee's emotional wellbeing. Typically, the best way to manage a gossiping employee is to speak with him or her directly, in private. Calling out a gossip in a public setting will likely lead to more negativity, so it's better to explain how their actions are affecting other employees. 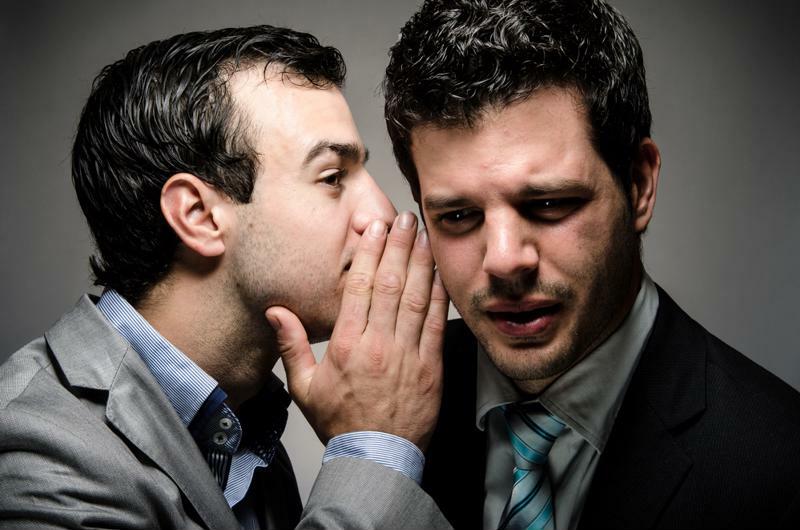 Gossiping can negatively impact employee performance. Everyone goes through emotional ups and downs. Leaders cannot expect their employees to be at 100 percent every hour of the day. For instance, scheduling a meeting for early Monday morning is likely to elicit grumbles from employees. However, when employees are constantly negative, their attitude could spread. As with gossiping employees, it's best to speak with chronically grumpy employees in private. The cause of their negative attitude may not even be work related. Together, managers and employees should work together to find a solution. "In the Madison office, we believe in a culture of holding each other accountable," remarks Tom Heyroth, Senior Business Development Manager for Beacon Hill's Technologies office in Madison. "First and foremost, implementing this type of accountability requires strong interpersonal relationships – understanding each other is critical to developing patience and empathy, so that we not only address negative behaviors but also their underlying causes. With this in mind, we encourage employees to address problems directly and immediately, so that the issue doesn't continue or manifest into something more serious. If the issue isn't resolved, we address it one-on-one or in group settings, depending on the situation. But all of this begins with building strong relationships, so people know that the ultimate goal is for everyone's mutual benefit." Bullying isn't always immediately noticeable. In fact, workplace bullying often takes the form of social isolation, in which a group of employees excludes another worker from participating in group activities. When individuals feel ignored or abused, their morale and productivity will drop until they inevitably leave the organization. Managers should look for the signs of bullying, such as when employees stop participating in meetings or stay away from certain coworkers. Identifying potentially troublesome behaviors during the interview process can mitigate problems later on. Speak with an expert consultant from Beacon Hill Staffing Group to learn more about optimizing talent at your organization.